Imagine Bush talking about Powell or Rice this way. It's a reflection of how at least one major Democrat feels about African Americans. Couple it with Kerry's cynical abuse of Cheney's daughter in the debates, and you get a picture of a party pretty cynical about some key constituent groups. via PJ Media. VP Cheney and Blitzer re: Cheney's new grandchild. What an embarrassment Blitzer is. Abdullah Muhsin on Iraq today from Labour Friends of Iraq. Despite everything, the march towards democracy in Iraq proceeds. It started with the first open national elections in our history. The January 2005 election saw millions of Iraqis braving the threats of extremists and casting their vote to elect Iraq’s first democratically accountable government. Ordinary people then defied extremists again to ratify Iraq’s first permanent constitution. It may be flowed, but remains the most progressive constitution in the region. There are other democratic achievements such as the move towards a free press and the development of a multiparty system and civil society. This includes a free trade union movement which has soared from a small underground movement to a significant force. It is not driven by ideology or religion. Its motivation by the improving is to improve the lot of ordinary Iraqis and work with other progressive forces to build a free and open society. All these suggest that the vast majority of Iraq want a brighter future of democracy, prosperity and human rights. But nothing is ordained, and the international community can still make huge difference. The support of the United Nations and the European Union is vital. The alternative is misery and death on a massive scale that will haunt humanity. THE CONTROVERSY over the IFTU erupted in Britain in October 2004 when the federation’s representative Abdullah Muhsin intervened at the annual Labour Party conference to help head off a resolution calling for withdrawal of occupation troops. Such a characterization of the resistance is a regular theme for Muhsin. In the interview, he attacked Iraq’s insurgents for “indiscriminately killing” innocent people. “This is no resistance,” he said. My dear friend and brother Salah Uddin Shoaib Choudhury, who publishes the only pro-Israel newspaper in the Islamic world and who strives for interfaith understanding, has received a brief reprieve and, with it, new hope in his legal difficulties. He appeared in court today, Monday 22, 2007, in Dhaka, Bangladesh, before a judge who has made it clear that he wishes to convict him of treason, sedition and blasphemy. A representative of the European Union attended, as did a representative of the British High Commissioner. The U.S. Embassy was represented, and other countries have sent statements regarding their support for Choudhury. It was a major surprise to find that none of the prosecution witnesses who had been called actually appeared. The government prosecutor has said that he sees no reason to try Choudhury, as he is convinced that he has nothing with which to convict him. The prosecutor must surely understand that he is being used in the political interests of Islamist radical judge Mohammed Momin Ullah who wishes for the case to continue. The trial has now been delayed until February 28th, and Mr. Choudhury is extremely grateful for this brief reprieve. This is taking place against a background of governmental and social instability in Bangladesh. A new interim "caretaker" government has taken control of the country after many weeks of violent demonstrations, strikes and unrest fomented by the Awami League, a coalition of parties which has most recently been in the minority in the Bangladeshi Parliament. These groups represent the radical Islamist faction whose goal it is to see a Taliban-like government take control of the country with the Islamic Shari'ah (religious law) as the law of the land. The interim government is working to meet one of their demands by correcting some large discrepancies in the lists of registered voters. It seems apparent that these radicals will win many more seats in the parliament than they have had before when elections are held in the late spring. It is, indeed, possible that they will win a majority. Al Queda is making incursions into the country, and an international group of journalists has made a statement that Bangladesh is one of the most dangerous countries in the world for journalists who are often imprisoned and sometimes executed. And, against this background, Shoaib Choudhury continues to publish the truth. He has even taken recently to publishing articles I have written about Judaism in the interest of interfaith understanding. His courage deserves to be richly rewarded. If you are reading this in the United States, please ask everyone you know to call his or her representative, asking them to support House Resolution #64 which asks that the case against Salah Uddin Shoaib Choudhury be dropped. Please ask your senators to make public statements in support of Mr. Choudhury and to contact the State Department on his behalf. The full text of the resolution is pasted below for those of you who may be interested. Please note that this is a bipartisan resolution. Rep. Kirk is a Republican, and Rep. Lowey is a Democrat. One must still feel outrage at the fact that this trial will continue. Every charge against Shoaib Choudhury is entirely fabricated and has not one shred of truth to justify it. Choudhury is still in danger. If this trial is concluded, it is more than likely that the judge will find him guilty, and the penalties may be either thirty years in prison or death. The one thing remaining which Mr. Choudhury needs very urgently, is for people to advertise in The Weekly Blitz. Shoaib Choudhury is almost entirely without a source of income, and some of you may be in a position to alleviate this problem. Bangladeshi journalist Salah Uddin Shoaib Choudhury. which was referred to the Committee on 11th January 2007. Whereas on November 29, 2003, Mr. Choudhury was arrested at Zia International Airport in Dhaka, Bangladesh, on his way to board a flight bound for Tel Aviv. Mr. Choudhury's passport was seized, along with considerable sums of money and several personal items; on that same day police raided Mr. Choudhury's home and newspaper offices, seizing files, computers, and other valuables. Whereas Mr. Choudhury was detained in Dhaka Central Jail for a passport violation, then subsequently charged with sedition. Mr. Choudhury suffered harsh interrogation techniques and received no treatment for a debilitating case of glaucoma. Mr. Choudhury's incarceration lasted 17 months without legal recourse. Whereas on April 30, 2005, after intervention by the United States Department of State and congressional offices, Mr. Choudhury was released on bail. (3) the Government of Bangladesh should cease harassment and intimidation of Mr. Choudhury, take steps to protect Mr. Choudhury, and hold accountable those responsible for attacks against Mr. Choudhury. His second column in The Guardian: The disgrace of the anti-war movement. The last paragraph but please read the whole thing. The second choice for the liberals was to do the wrong thing for the right reasons. To look at the Iraqi civilians and the British and American troops who were dying in a war whose central premise had proved to be false, and to go berserk; to allow justifi able anger to propel them into 'binges of posturing and ultra-radicalism' as the Sixties liberals had done when they went off the rails. As one critic characterised the position, they would have to pretend that 'the United States was the problem and Iraq was its problem'. They would have to maintain that the war was not an attempt to break the power of tyranny in a benighted region, but the bloody result of a 'financially driven mania to control Middle Eastern oil, and the faith-driven crusade to batter the crescent with the cross'. They chose to go berserk. Also Part I to this series on the moral collapse of the left. Part 1 of Martin's column. Winning has it's own problems. Frankly, the real problem black leadership has is that Obama didn't come through "the civil rights system." And like it or not, there is tremendous jealousy that he has been able to do what so many others have not done: First, he actually got elected to something. Second, he launched a campaign that people actually believe can win. For the first time since his suspension, which caused international outrage, ousted professor Thomas Klocek will return to the school that silenced him to discuss the role of free speech at Catholic Universities. DePaul University suspended adjunct professor Thomas Klocek without a hearing for disagreeing with Muslim students over the Arab-Israeli conflict in an out-of-classroom debate. Since then, his case has brought scrutiny on DePaul from media and the academic community while causing division among the University’s own faculty and students. The forum will also include researcher, author and “conservative battle tank” David Horowitz as well as DePaul professor and Klocek supporter Jonathan Cohen. The event will take place in DePaul’s Cortelyou Commons at 2324 North Fremont Street in Chicago on Wednesday, January 24th at 7:00 PM. The event is free and open to the public. Maryam Namazie: Nazanin Fatehi Acquitted! According to information received by the International Committee Against Execution, the charges against Nazanin Fatehi, the teenager under a sentence of death in Iran, have been dropped. She will probably be released from jail next week. Earlier today, the court sitting in Tehran decided on Nazanin’s case and told the defence lawyers that she would not have to face execution but has to pay financial compensation before she is released. The defence lawyers are planning to oppose the compensation ruling and are demanding that she be released immediately on bail. The Save Nazanin Campaign will follow Nazanin's case and keep the public and the press informed of her situation. The International Committee Against Execution congratulates all those who have helped and supported the campaign to save Nazanin's life. This is a victory for humanity and against ignorance and laws of retribution. "I never learned to fight for my freedom. I was only good at enjoying it"
I never learned to fight for my freedom. I was only good at enjoying it. Quoted from his column De terreur van de angst found in The Brussel Journal via The Ancrhosses's must read reassessment of Iraq and Just War. An Iraqi's take on her visit. ...in Hillary's Iraq, the enemy is the Iraqi leadership, which, according to her, is using American troops like the palace guard, and arbitrarily risking American lives "from time to time as they see fit." As for Al Qaeda in Iraq, as for Iran, Syria, Al Sadr's death squads and all the rest, none of them rates a mention. Worse, Hillary's picture of Iraq reduces the role and character of the American troops, dispensing with the immense effort they have been making in the country, and transforming them into something like sultan's eunuchs. Sen. Boxer shows real class. Rice appeared before the Senate in defense of President Bush's tactical change in Iraq, and quickly encountered Boxer. "Who pays the price? I'm not going to pay a personal price," Boxer said. "My kids are too old, and my grandchild is too young." Then, to Rice: "You're not going to pay a particular price, as I understand it, with an immediate family." It's not exactly how I would haved described what the United States is doing there today. To use the words baby sit; although I understand Obama's point and perhaps it sends a needed message to the Iraqi Government that the American people have limits. I remember meeting Veterans of the Spanish Civil War here in Chicago in the 1960s. Sometimes over at the Guild Bookstore at Halstead near Armitage. They volunteered to fight in a Civil War most Americans preferred the United States sit out. The sides were just as morally murky in the Spanish Civil War --Republicans allied with Stalinists just as we have an Iraqi Government using Shia militias-- but they fought with the Republicans and I admired them for it. What we need, is for those who support the independence of Iraq, and this country’s development, wherever they may be in the world, to express their solidarity for those who are fighting for these objectives. Unfortunately, stances have been taken by some of these forces which play in favor of political currents which are opposed to democracy. On the one hand, they talk about democracy and secularism, but in fact, they take positions which weaken, rather than reinforce the democratic and progressive trends in the country. It’s possible to establish a frank and sincere dialogue with the range of progressive forces, in Iraq and throughout the world, in a mutually respectful manner. This should be done with a view to achieving our shared goal for a peaceful, independent, unified and federal Iraq. We totally assume our choices and our politics because our primary responsibility is to the Iraqi population. So besides telling this Comrade the American People have limits, it would be nice to have heard Senator Obama send him a message of our solidarity too, and not chose words that ...weaken, rather than reinforce the democratic and progressive trends... because ultimately we can't sit out from the Civil War. We learned that in Spain. My wife picked him Phillips's book when she worked the telephones for the WBEZ fund raiser. It was a publisher's copy for reviewers and WBEZ was giving them away. Excellent book and not just a moving story about a hero but also a good look at America today through Dunham's life, the way the military handles casualties, and interesting profiles of two Muslim American Marines; one a Chaplain and another wounded in the same fight with Dunham. A little-noticed, last-minute change to a spending bill signed into law last year applies the military justice system to Defense contractors working in Iraq and Afghanistan, and potentially -- during national emergencies -- to those working on U.S. soil. The change, which consists of just six words inserted into the Uniform Code of Military Justice, extends the military's strict rules of conduct to contractors not only during declared wars, but during so-called contingency operations. These include the current ones in the Middle East, as well as declared national emergencies in which the armed services are called upon, such as the response to last year's Hurricane Katrina. Nick Cohen's new book comes out next month. From the much-loved, witty and excoriating voice of journalist Nick Cohen, a powerful and irreverent dissection of the agonies, idiocies and compromises of mainstream liberal thought. Nick Cohen comes from the Left. While growing up, his mother would search the supermarket shelves for politically reputable citrus fruit and despair. When, at the age of 13, he found out that his kind and thoughtful English teacher voted Conservative, he nearly fell off his chair: 'To be good, you had to be on the Left.' Today he's no less confused. When he looks around him, in the aftermath of the invasion of Iraq, he sees a community of Left-leaning liberals standing on their heads. Why is it that apologies for a militant Islam that stands for everything the liberal-Left is against come from a section of the Left? After the American and British wars in Bosnia and Kosovo against Slobodan Milosevic's ethnic cleansers, why were men and women of the Left denying the existence of Serb concentration camps? Why is Palestine a cause for the liberal-Left, but not, for instance, China, the Sudan, Zimbabwe or North Korea? Why can't those who say they support the Palestinian cause tell you what type of Palestine they would like to see? After the 9/11 attacks on New York and Washington why were you as likely to read that a sinister conspiracy of Jews controlled American or British foreign policy in a liberal literary journal as in a neo-Nazi rag? It's easy to know what the Left is fighting against - the evils of Bush and corporations - but what and, more to the point, who are they fighting for? 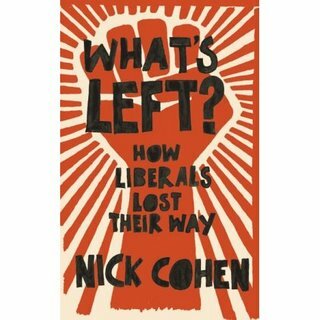 As he tours the follies of the Left, Nick Cohen asks us to reconsider what it means to be liberal in this confused and topsy-turvy time. With the angry satire of Swift, he reclaims the values of democracy and solidarity that united the movement against fascism, and asks: What's Left? Jackie Guerra at Workin' it interviews Abdullah Muhsin and Alan Johnson, authors of a new book on the history of Iraqi unions and the 2005 assassination of one of its leaders: Hadi Saleh. Some long quotes on his story from Canada Free Press. I wrote both Durbin and Obama asking for a similar Senate resolution as that introduced by Kirk in the house. January 22, 2007 looms very near on the New Year's calendar. That's the day Bangladesh native, Salah Uddin Shoaib Choudhury is scheduled to go on trial for his life. The pro-Israel, moderate Muslim journalist stands steadfast and alone. Choudhury is the editor and publisher of The Weekly Blitz, an English-language newspaper in Dhaka, the capital of Bangladesh. In 2003, the future looked bright for the 41-year-old, truth-seeking journalist. He was proudly on his way to address the Hebrew Writers Union, having gained the attention of the outside world by a series of articles promoting peace with Israel, condemnation of Muslim extremism and encouragement of interfaith cooperation. Dreams turned to ashes when he got no further than Zia International Airport in Dhaka. The speech, advocating understanding between Muslim and Jews of which he was so proud, was never to be heard. Arrested upon his arrival at the airport, his passport was confiscated, his home and offices were raided, his money and personal effects stolen, and his computers seized. There was no protest outside the prison where he was to linger in jail for some 17 months. During the long months of his imprisonment, his glaucoma went untreated and he was sometimes locked up with the insane, whose blood-curdling screams kept him awake through long nights. In prison, the journalist who once had so much to look forward to, was tortured. Going to Israel with pro-Israel opinions is a crime in Bangladesh. All of this is taking place against a backdrop of a Bangladesh in the midst of anarchy, with extremist factions pressuring the ruling party into allowing them an increasing say in the government, and with local judges being able to exert enormous personal sway. Worse, Bangladesh watchers are predicting that the country's January 25 elections will bring the fundamentalists even more prominence and power. It is now a very real possibility that the Islamic religious code of Sharia will become the law of the land in Bangladesh. Here is the harsh reality for Choudhury's fate: Even if sentenced under existing Bangladeshi law, the journalist can anticipate one of only two possible options: Thirty years in prison or execution. He is fully aware that he cannot hope for a fair trial. His only hope is to see all charges against him dropped, and soon. And support of the outside world is absolutely critical. Rep. Mark Kirk of Illinois and Rep. Nita Lowey of New York have introduced House Resolution 1080, calling on the Bangladeshi government to drop all charges against Choudhury, to cease the harassment campaign against him, and to bring his attackers to justice. Americans are being asked to call or e-mail their representative in Congress and to urge him or her to sign on to Resolution 1080 immediately. "Contact both of your senators and plead with them to sponsor a complementary resolution in the Senate--now," urges Heritage Florida Jewish News. "Bangladesh depends upon some $60 million a year in U.S. aid while its rulers pose as our government's enlightened partners in the "war on terror"--make them earn their money. Here's a link to Jason Vest's column on Iraqi reconstruction, and a link to the leaked CPA memo his column was based upon. Here are two paragraphs from the leaked memo. The redacted Iraqi Gov minister is probably Alsammarae. Iraqis politicians, ordinary Iraqis, and U.S. contractors have the sense that Bremer’s goal is to leave Iraq with his reputation intact. He therefore hesitates to take tough but necessary decisions, instead hoping to foist them onto his successor or international organizations. Success should not be seen as the state of Iraqi on June 30, but rather the state of Iraq on July 31, September 30, or November 30. It is essential we transfer sovereignty to an Iraq built upon the strongest possible template. We need to use our prerogative as occupying power to signal that corruption will not be tolerated. We have the authority to remove ministers. To take action against men like [REDACTED] would win us applause on the street, even if their GC sponsors would go through the motions of complaint. The alleged kickbacks that [REDACTED] is accepting should be especially serious for us, since he was one of two ministers who met the President and has his picture taken with him. If such information gets buried on the desks of middle-level officials who do not want to make waves, then short-term gain will be replaced by long-term ill.
We so share culpability in the eyes of ordinary Iraqis. After all, we appointed the Governing Council members. Their corruption is our corruption. When [REDACTED] work to exclude followers of other trends of Shi’a political thought from minister and deputy minister positions, Iraqis blame Bremer, especially because the Governance Group had assured Iraqis that their exclusion from the Governing Council did not mean an exclusion from the process. As it turned out, we lied. People from Kut, for example, see that they have no representation on the Governing Council, and many predict civil war since they doubt that the Governing Council will really allow elections. A former Iraqi Cabinet minister who escaped from a Baghdad prison last month defended his jailbreak and said here Monday he was planning to return to his home in Illinois. Ayham al-Samaraie, Iraq's former minister of electricity who holds U.S. and Iraqi citizenship, had been serving time for corruption when he escaped mid-December. Al-Samaraie said he fled because he feared being killed or kidnapped. He said he would return to his home in Oak Brook, outside Chicago, as long as he receives assurances that he won't face U.S. legal problems related to his offenses inside Iraq. Al-Samaraie affected a confident, jaunty tone in rambling remarks that he said were aimed at clearing his name. He said his friends were negotiating with U.S. government officials to enable his return to the United States. ``All indications are that I can return,'' said al-Samaraie, who was appointed to the Iraqi transitional government in 2003. He said the charges against him in Iraq other than those related to the jailbreak were motivated by politics. Al-Samaraie said he was confident the international police agency Interpol would not issue a warrant against him. Wonder if Durbin and Obama's Offices are the friends negotiating his return. Those are the Offices his family turned too for help. The former minister said Americans were involved in his jailbreak, but none were affiliated with the U.S. Embassy in Baghdad. He declined to say whether any of his American accomplices worked for the U.S. government. Al-Samaraie used the help of several associates to mount a brazen escape from an Iraqi-run jail inside the heavily fortified Green Zone. Soon after, he said he flew from Baghdad to Jordan by brandishing what he said was his own passport. Al-Samaraie declined to say whether he traveled on his Iraqi passport or one of two U.S. passports he flashed at the news conference. He argued that his departure from jail was actually legal because an Iraqi court had ordered Dec. 17 that he be released. He believes that if he was taken outside the relative safety of the Green Zone, he might be killed or kidnapped. Al-Samaraie was detained in August, convicted of corruption and sentenced to two years imprisonment. The charges concerned an estimated $2 billion in missing funds for contracts on rebuilding Iraq's electrical infrastructure. Having known him - a bit - for years, I have unreserved respect for his talent and dedication, his quality of mind and selfless service. He's the greatest peacekeeping general in the world. But I just don't know if he can win a war. Regaining control of Baghdad - after we threw it away - will require the defiant use of force. Negotiations won't do it. Cultural awareness isn't going to turn this situation around (we need to stop pandering to our enemies and defeat them, thanks). We insist it's all about politics and try to placate everybody, while terrorists, insurgents and militias slaughter the innocent in the name of their god and their tribe. Meanwhile, we've been pretending we're not at war. Our enemies aren't pretending. They're not only waging war with everything they've got, but reveling in breathtaking savagery. They're no longer impressed when an American patrol zips by. They know they own the streets, not us. To them, we're just military tourists anxious to go home. Read all of Peters' column. 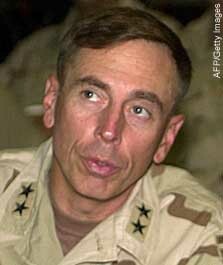 Petraeus in command is very good news. A 51-year-old Syrian-born wunderkind from Wilmette, Rezko was always the quiet, low-key guy who preferred the shadows to center stage. An immaculate, moneyed Dr. Phil lookalike, Rezko's special gift was spotting stars before anyone knew they would be stars. And doing them favors, seemingly for free. And so for years, whether it was campaigning for the late Mayor Harold Washington in 1983, or raising big bucks for former Cook County Board President John Stroger in the '90s, or helping raise money for Sen. Barack Obama, whose rock star possibilities Rezko recognized years earlier, Rezko was ready with hefty infusions of his own cash and millions of dollars of other people's money. And it wasn't just Democrats whom he supported. Republicans from President Bush to former Gov. Jim Edgar got a little lift from Tony. Rezko, let's remember, was "traveling" internationally when his indictments were handed down. He has interesting friends the world over. The emir of Qatar is a pal. The former Iraq electricity minister, Aiham Alsammarae, who resides in west suburban Oak Brook when he's not on the lam from a Baghdad lockup, is a Rezko business colleague who's been indicted in connection with $2 billion in missing money meant to rebuild Iraq's infrastructure. The feds are investigating what role Rezko may have had in that deal. And much closer to home, the feds continue to pursue Rezko's past real estate dealings with Illinois first lady Patti Blagojevich, a business relationship that began in 1997. Meanwhile, Rezko's city developments, "minority partners" and contracts with Cook County are also under the federal microscope. Some really talented people can play three-level chess in their head. Rezko can do even better than that. He could master at least four levels of government -- city, county, state and international -- all at once. The only good thing here is 2007 will be a bonanza year for Illinois bloggers. You'll be getting lots of google hits for Rezko Obama combinations. A lot of e-emails from people asking questions. Got to admit he's a real Chicago story. A guy from Syria comes to Chicago and all he's got going for him is the ability to play three-level-chess. Then he trys to take over the world. This controversy and the AP's handling of it call into question the credibility, integrity, and smarts of one of the world's biggest, most influential, most respected news organizations, the New York-based Associated Press. Until this controversy is resolved, every one of those AP reports is tainted. When two governments challenge the veracity of your reporting, when there are reasonable doubts about whether your prime named source for a sensational exclusive story exists, when there's no proof a reported horrific incident occurred, when the news outlet responsible for the disputed report stonewalls and is stridently defensive, when the validity of dozens of other of your reports has been called into question as a result, then that news organization has a scandal on its hands, and that is where the AP finds itself.